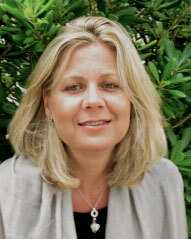 My name is Andrea Barton and I am a fully qualified counsellor and psychotherapist holding a Postgraduate Diploma in Humanistic Psychotherapeutic Counselling. I am also a registered member of the British Association of Counselling and Psychotherapy (BACP) and practice according to their ethical framework. Past work experience has included counselling at the As You Are Centre in Southwick, with Fegans in Tunbridge Wells and within the NHS Instant Access to Psychological Therapies (IAPT) service. I am committed to ongoing professional development and hold certificates for working with trauma and post-traumatic stress as well as sexual abuse, child protection, suicide prevention, depression, anxiety, shame and narcissism. I also am qualified to offer Lifespan Integration Therapy. Please visit www.lifespanintegration.co.uk for further information on this form of therapy. I am fully insured and hold a valid enhanced DBS certificate. Before re-training as a therapist, I worked for many years in International Marketing both as an employee and self-employed. This involved working in high pressure environments for long hours and with extensive travel. I share this for those who might find it relevant to know that I have personal experience of trying to cope with work related stress, to attempt to balance your career with a personal life, as well as other issues such as politics at work, performance anxiety, redundancy, career choices, professional relationships. I worked with people around the globe and embrace both the similarities and the differences. I am fluent in German and have a good working knowledge of French.